This is one of my favorite times of year! The new late winter nettles bring me hope and inspiration. The coming of spring is upon us. The quickening time of Imbolc has come and gone, and the wells within the Earth are warming and bringing rise to new growth. Mid February is the time where we begin to see the wane of Winter, and the beginnings of the quickening time of Spring. As we move closer to Spring Equinox, we notice the sun shine upon us a bit later, the temperatures begin to warm, the buds of potential glistening within the trees, and the appearance of new delicate leaves of springtime flowers and herbs. The reappearance of the plants is one of the most exciting times of year, and a time to begin to nourish ourselves with spring cleansing tonics to revitalize our energy after the winter months. One of the herbs that really presents itself to us at this time of year is Nettles (Urtica dioica). 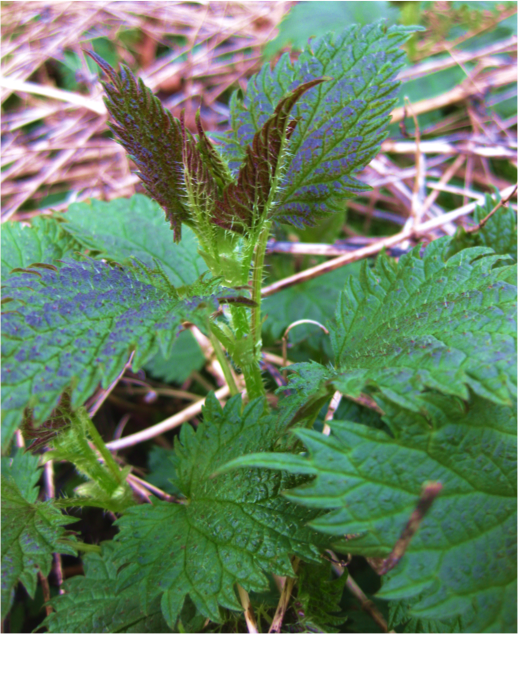 Nettles are one of the most nutrient rich herbs we have available to us in the Pacific Northwest. They contain the highest amount of protein of any of the native plants in this region, and contain iron, trace minerals (seleninum, sulphur, zinc, chromium, boron, calcium), vitamins (A, B, and K), and chlorophyll. They are considered one of the best spring tonics because they cleanse our blood after the winter months of eating a diet rich in fats, provide us with renewed energy and clarity, and give us a renewed sense of ourselves. The late winter and early spring leaves can be gathered using gloves. The small hairs on the stalk and underside of the leaf contain formic acid, and this is what can cause the stinging sensation and rash. So the best way to gather is using gloves, scissors/clippers, and a long-sleeved shirt. When gathering Nettles, harvest from an area that is free of any possibility of pesticide or chemical spray. Also, be sure it is an area where the nettles are growing in abundance, and make an offering of thanksgiving to the plant. The fresh leaves can be dried or used fresh. See recipes below. Some easy preparations of Nettle are tea and vinegar. Place dried or fresh Nettles in a quart container about 1/3 full. Pour water into quart jar. Cover and allow to sit for 20 minutes to 4 hours, or even overnight. The longer the herbs steep in the water the stronger the infusion will be, and thus the stronger the medicine J. After steeping, strain off herbs from liquid. Add honey if you like and enjoy! Tightly pack a quart jar with the fresh leaves and stalk (if you have it) of the Nettles. Pour organic apple cider vinegar over the Nettles and fill jar. Cover. If using a metal lid you will want to cover the jar with wax paper, then put the lid on to prevent rust. Place in an area out of direct sunlight. Shake several times a day, and add more vinegar as needed to keep the Nettles covered. After 2-3 weeks strain off plant material from vinegar. Compost Nettles, and place your vinegar in a nice labeled container. Use this on salads, in marinades, or take teaspoon before meals as a digestive aide that is rich in minerals. Just in time for Valentine Treats! See you there! Email Nicole atnicoleisnicole@hotmail.com if you have any questions or great ideas! It’s beautiful and ready to harvest. So bright and sunny! Herbs are ready for your personal gathering pleasure. 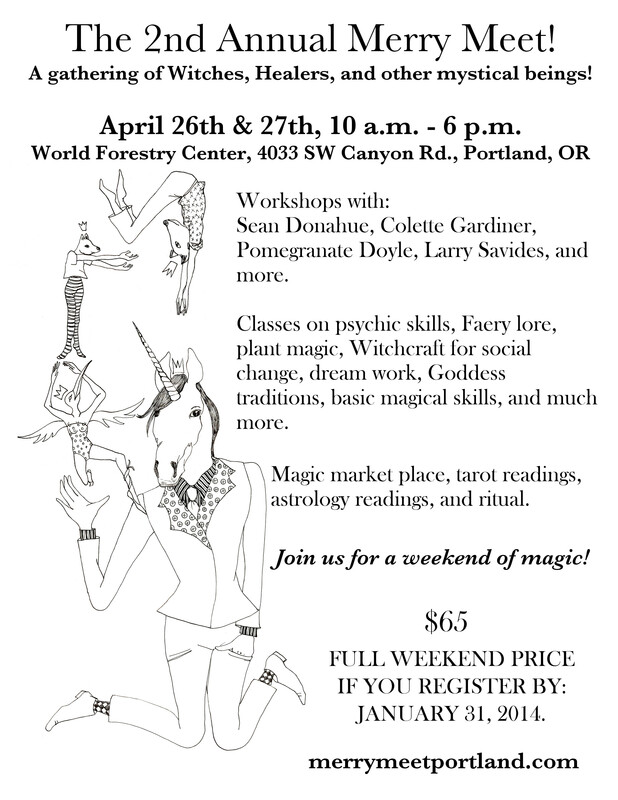 Come on over and gather what you need. Make your medicine in the magical gardens or take them home to dry. Prices vary and are based on weight. Freshly dried herbs are also available. Delivery available upon request 5$-10$ delivery fee based on location. Fresh and ready to harvest. She is beautiful!